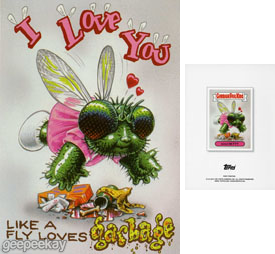 MADE BY: The Valentine's Day Greeting Cards were produced and released by Topps, Inc. 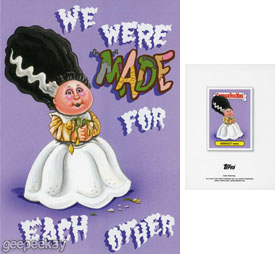 The "Valentine's Day Cards" set was the second set of Garbage Pail Kids Greeting Cards to be released. 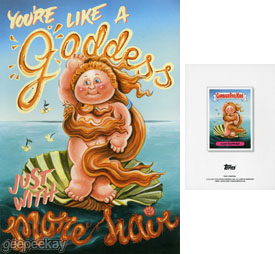 It featured 10 different cards, including nine classic images and one brand new piece of artwork. 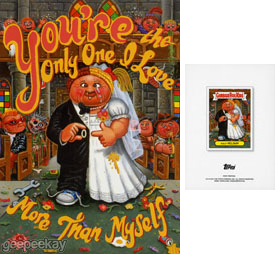 The cards were split up into two different sets: Box A and Box B. 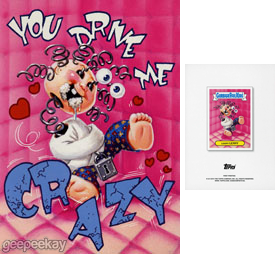 Each box contained five images and came with 10 cards (two of each) and 10 envelopes. 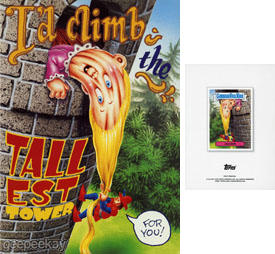 The cards also feature a "First Printing" on the back, implying that additional printing runs were planned. 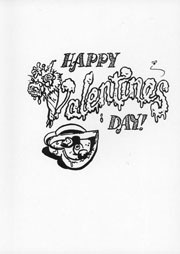 Unlike the Holiday cards, the Valentine's release featured clever little quips and jokes written on the front of the cards, with a standard greeting repeated on the inside of each card. 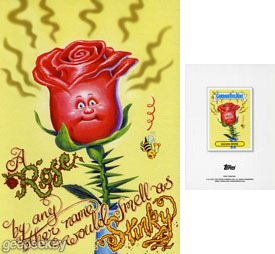 The bold red envelopes contain a nice little red "heart-filled"" border-artwork, that cleverly conceals Mr. Adam Bomb. 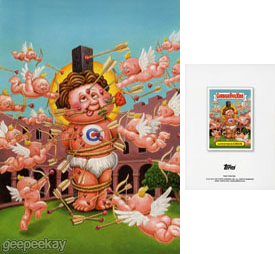 The flap of the envelope features the Garbage Pail Kids banner with a heart backdrop. 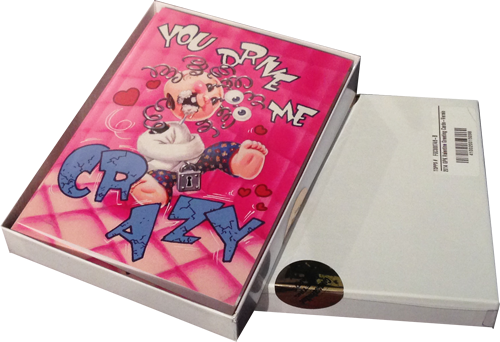 The cards come packaged in a cardboard box with a plastic lid, very reminiscent of old-school Valentine card packaging from Hallmark. 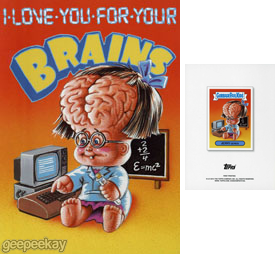 They are sealed with a gold-foil sticker that says "Garbage Pail Kids Greeting Cards" on it.